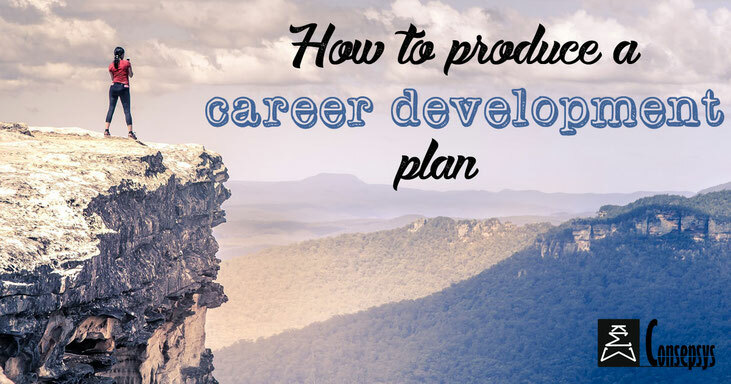 How to produce a career development plan? Managing one’s own career is extremely important in order to get good job opportunities, increase salary or move to a new position. However, very few people initially think actively about managing their career. And yet, it is one of the most powerful methods that one can use for career progression. What does ‘actively managing one’s career’ mean? 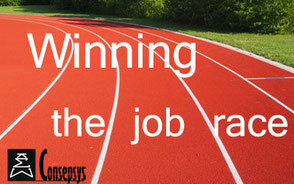 It is a series of steps, actions and considerations taken to improve one’s career path. It starts with writing down where one wants to be in the future (for example in 5 or 10 years). Do you want to be an experienced document controller with an expertise in an specific field? Would you like to become a team leader or the Lead DC on a capital project? Do you see yourself as a manager of DC in your company? Do you want to improve your skills in a certain area of DC (for example, management of vendor documentation, preparation of As-Built packages, improvement of Excel skills)? Once the objective has been set, then the next step will be about analysing the gaps between where you are right now and where you want to be in the future. For example, if you wish to evolve to a team leading or management position, you need to learn both the skills, the attitude, the mindset required for this position. 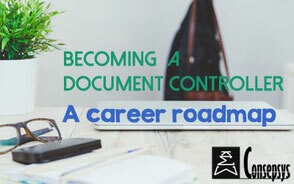 If you are currently a Document Controller, or a Senior Document Controller, there will be a series of skills that you will need to develop, for example how to calculate workload and distribute tasks, how to raise a budget, how to monitor and report progress to your management, how to influence your stakeholders in order to obtain the resources and support needed for your team. Identifying the gaps in your current skill set will help you develop where improvement is needed and so that, when the perfect opportunity comes, you can present a strong application (to a new position or to a new job for example). However, it can sometimes seem daunting to start from scratch to analyse where you are, where you want to be and to identify the gaps. Guidance can be found through tools such as the Consepsys Document Control Competency Matrix, which is a tool to formally manage competencies and to plan career progression. Based on a detailed list of skills, it allows to identify competencies required against competencies acquired. As any exercise of this type, you will only get a clear view of your career development plan if you are truthful in your own assessment. For example, what is your level of competency in As-Built package preparation? Do you have knowledge about what is the As-Built phase, why it is critical and the different sub-phases? 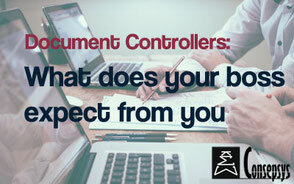 Do you know what is required from Document Controllers for this phase? Do you know how to do the tasks? Do you know how to organise these tasks in advance, calculate the workload, talk to the management team? Have you been involved in the contractual discussions about the As-Built package? Truthfully assessing yourself is essential because it will help you work on the missing knowledge and experience. Ultimately your employer / manager will see by himself /herself if you were truthful or not: if one says that they master a skill and then one is not able to perform it to the satisfaction of one’s manager, then it is damaging both for one’s credibility as well as long-term employability. Once you have the list of gaps or improvements needed, it is then time to think about what can be done to fill these gaps. In the options, think about training courses, on-the-job coaching, books, exposure (new position, internship, placement), etc. Also include a timeline for each action, so that you ensure that you eventually get where you want to be.